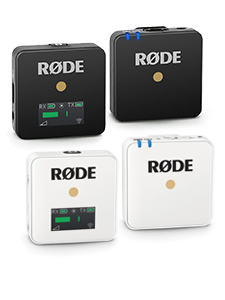 RØDE Microphones today announced the release of the smartLav, a new lapel microphone that connects directly to the headset jack of Apple iOS devices. Compatible with the iPhone, iPad and iPod touch, smartLav delivers premium quality audio capture in a compact and accessible form factor. The smartLav is a professional-grade wearable microphone designed for use in a wide range of film, television and broadcast scenarios, or wherever professional quality audio is required in a discreet, portable format without the complication and expense of additional wireless equipment, particularly where multiple talent is involved. 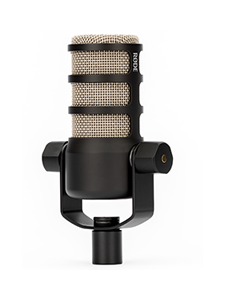 With the smartLav the user simply mounts the microphone on the talent, connects it to the iOS device’s headset jack and records via the RØDE Rec or RØDE Rec LE apps. By employing a high quality omni-directional condenser capsule the smartLav captures sound in a forgiving 360 degrees, allowing for versatility when mounting and ensuring a high degree of user-friendly operation . A foam pop shield is included to minimise wind noise and vocal plosives (hard ‘b’, ‘t’ and ‘p’ sounds), as well as a durable mounting clip with in-built cable management. The smartLav has been designed to pair perfectly with the RØDE Rec app for Apple iOS devices, and is also compatible with any iOS audio app that accepts input from the headset connection. 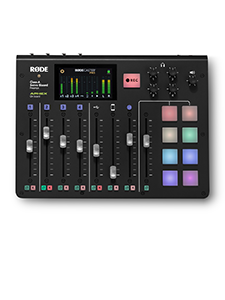 RØDE Rec turns the user’s iOS device into a fully-featured field recorder, with a wide range of equalisation pre-sets to suit various recording situations, in addition to professional editing functions and the ability to publish to SoundCloud and Dropbox directly from the app. The smartLav is shipping to authorised RØDE retailers worldwide this month, at a suggested retail price of US$60.